Item # 315075 Stash Points: 2,995 (?) This is the number of points you get in The Zumiez Stash for purchasing this item. Stash points are redeemable for exclusive rewards only available to Zumiez Stash members. To redeem your points check out the rewards catalog on thestash.zumiez.com. 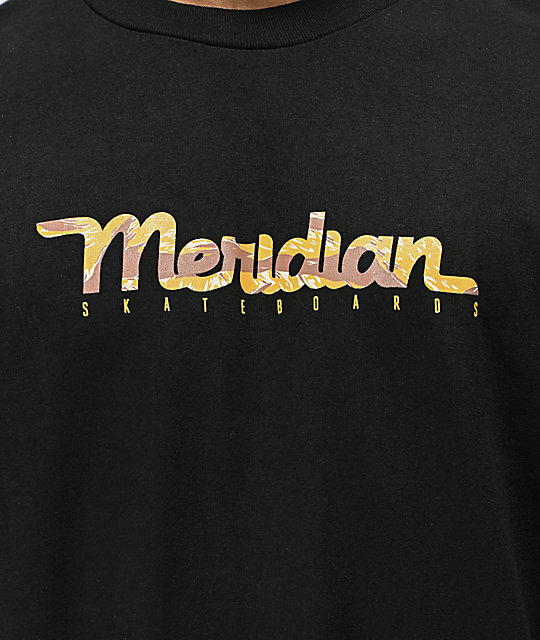 Meridian Skateboards continues to crank out need-to-have skate fashion. 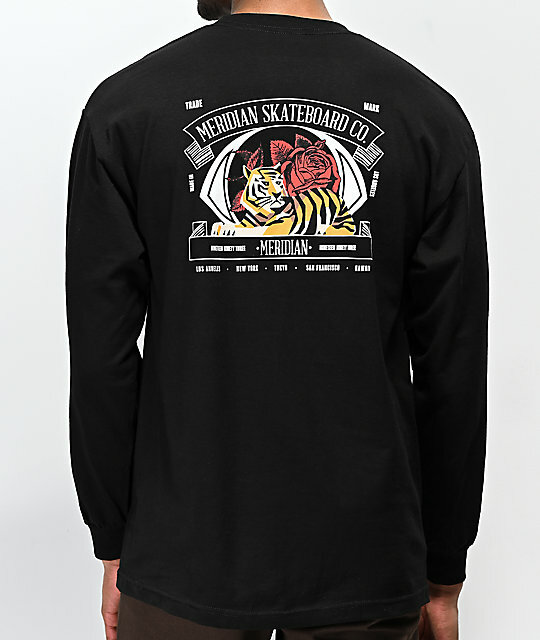 The Jungle black, 100% cotton, long sleeve tee shirt features "Meridian Skateboards" at the front in a tiger fur aesthetic while the back is finished with a tiger sitting amongst red roses with Meridian text surrounding. 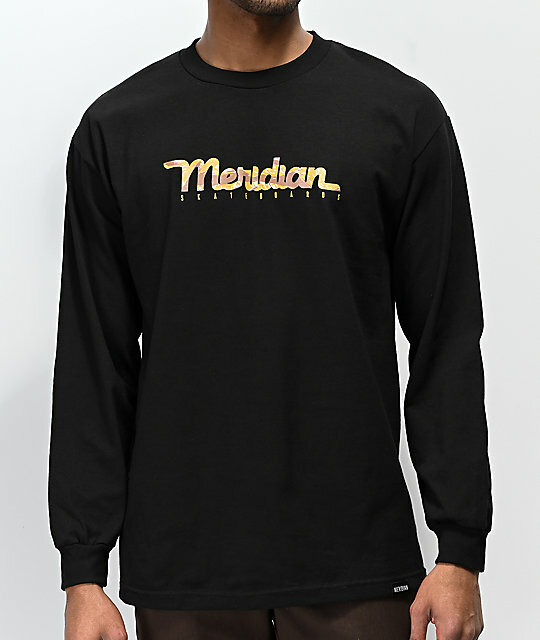 Jungle Black Long Sleeve T-Shirt from Meridian. Screen printed graphic at chest and back.